Ever Feel Like You Have a Clothespin on Your Nose? Why Would I Have a Nasal Obstruction? What's the Treatment for Nasal Valve Collapse? Traditional treatment for Nasal Valve Collapse has been dependent on two less than ideal approaches. One of these treatments involves invasive nose surgery that requires cutting and reconstruction but can fail to solve the basic anatomical problem. Another method uses grafts of cartilage to add support, but it can undesirably alter the appearance of the nose itself. Now, treatment for Nasal Valve Collapse has taken a positive turn! While individual results may vary, clinical research11 with LATERA® demonstrates significant improvement in Quality of Life for patients with Nasal Valve Collapse. Don't spend your life huffing and puffing because of Nasal Valve Collapse. LATERA® offers predictable outcomes and proven results for improving your ability to breathe through your nose. Value calculated based on 2014 US population estimate from US Census and World Bank data in conjunction with incidence numbers cited in Stewart et al. 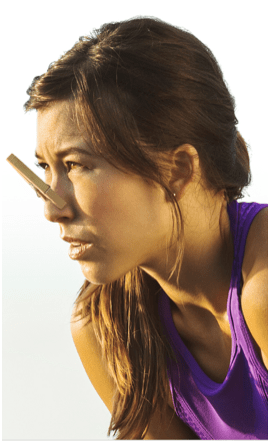 Epidemiology and burden of nasal congestion. Intl J Gen Med 2010; 2010:3 37-45. Crawford-Brown, Theoretical and Mathematical Foundations of Human Health Risk Analysis; 1997, Page 103. Rhee et al. Nasal Valve Surgery Improves Disease-Specific Quality of Life. Laryngoscope 115: March 2005. Wever, The Nasal Airway: A Critical Review; Facial Plast Surg 2016;32:17–21. Camacho et al, The Effect of Nasal Surgery on Continuous Positive Airway Pressure Device Use and Therapeutic Treatment Pressures: A Systematic Review and Meta-Analysis; SLEEP, Vol. 38, No. 2, 2015. Constantian MB, Clardy RB. The Relative Importance of Septal and Nasal Valvular Surgery in Correcting Airway Obstruction in Primary and Secondary Rhinoplasty. Plastic and Reconstructive Surgery. 1996 Jul; 98(1): 47. Ricci, et al. Role of Nasal Valve in the Surgically Corrected Nasal Respiratory Obstruction: Evaluation Through Rhinomanometry. American Journal of Rhinology. September-October 2001, Vol. 15, Nov. 5. Market research is ongoing. Data on file (TR-21076 Spirox NVC Experience). Individual patient results may vary and may include other procedures. 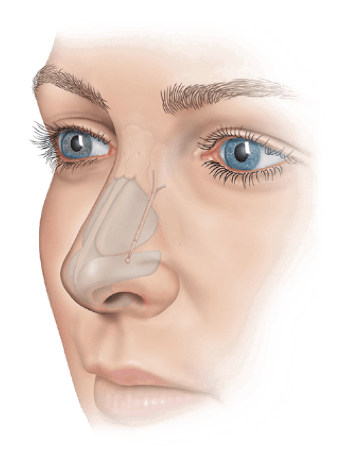 Use of the LATERA device in conjunction with other procedures (such as septoplasty and/or turbinate reduction) has not been clinically evaluated. Patient satisfaction results may be attributed to LATERA with other procedures. San Nicolo, et. al. 2017. Absorbable Implant to Treat Nasal Valve Collapse. Facial Plast Surg, 32:233-240. Take Our Sinus Quiz Self-Assessment! "Without Question I Wholeheartedly Recommend This." Having had the balloon dilation procedure, my sinuses, my quality of life has improved significantly. The night time coughing is gone. I don't have the sinus drainage that I had prior to the procedure, as well as that heaviness, constant feeling of pressure in my sinuses. Southern Indiana ENT is proud to be a designated Center of Excellence by Entellus Medical.